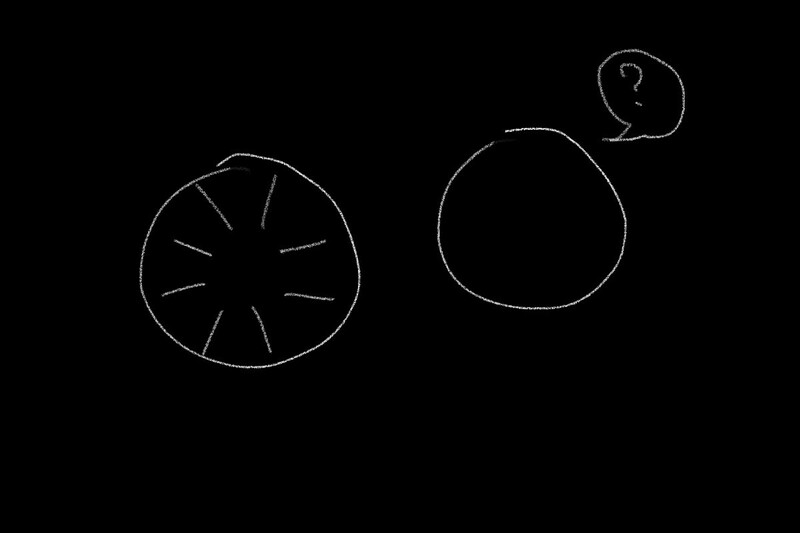 Last week I came across some questions from high school students about string theory, dark energy, and multiverses. They were from this blog post, where the lovely @MissDtheTeacher writes about taking her students to the frontiers of physics. She showed them Brian Greene’s TED talk about multiverses, generated questioning and discussion amongst the class, and in turn created a learning environment my past self would have wished so much to be in. How did they find out about string theory and dark energy? Does the idea of wormholes which is travelling through space from one galaxy to the next, also apply for multiverses and universes? Is the concepts of multiverses in the realm of science, science fiction or philosophy? Did the big bang have any effect on the multiverses? If galaxies are being pushed away from each other[…], what would happen when a galaxy reaches the end of the universe? Here I don my physics hat and attempt to answer them. In science, we spend our time thinking about and coming up with models to describe the world. These models tell us how we can think about the universe around us. In physics, we do this with maths. Maths is a very powerful tool we can use to think about complicated things, while keeping everything consistent. String theory is one of the mathematical models some physicists made to try and describe our universe. It’s something they came up with in an attempt to think about everything with one model — from the tiniest atom-bits to the largest expanses of the cosmos. But we don’t really know if String theory is ‘true’, or ‘right’, because we don’t have the means to go out and conduct experiments on it yet. The best we can say about this theory is that it is very mathematically beautiful, self-consistent, and gives us really cool things to ponder, like alternate universes or different timelines. We can’t say for sure other universes are out there, but it is super fun to think, within the confines of this model, what could be possible? Dark energy is a whole different story. Our current, well-tested, models for the universe has withstood almost a century worth of experiments☿. Physicists, for the most part, trust these models to give accurate predictions. From what we can see in the universe, and from our calculations from our model, we can figure out how the universe on a whole should be behaving. It didn’t do what we expected. We didn’t think it would be, but measurements tell us our universe is expanding. Not only that, but it is expanding faster and faster as time goes on. For everything to work consistently, there must be some extra energy around the universe, making everything expand. But we can’t see it! So we call it ‘dark energy’. 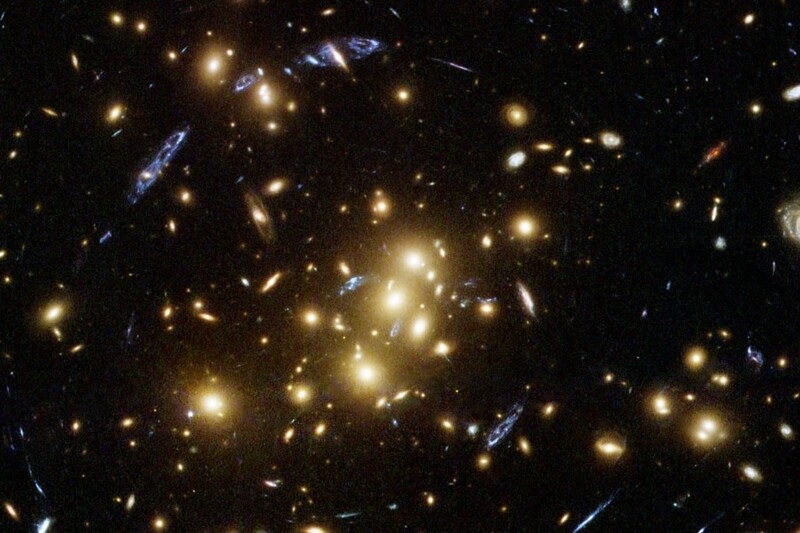 Physicists knew about dark energy since about the late ‘90s. We still don’t know what it actually is. Maybe you’ll have some ideas? Does the idea of wormholes (which is travelling through space from one galaxy to the next), also apply for multiverses and universes? Short answer: Yes! Well, maybe. Wormholes — all kinds of wormholes — are something we haven’t seen, but some of our models say they are possible. So we don’t know if they really are real yet! Depending on which models you pick, different kinds of wormholes are possible. A kind of wormhole that could allow travel from one universe to another is something called a Kerr black hole♀. In a usual black hole, gravity pulls everything past the event horizon (where even light can’t escape! ), towards the point in the middle called the singularity. At this point, many of our models (our laws of physics) breaks down. We have no idea what even might happen here! But for a spinning black hole, this singularity expands out into a ring shape —a hole shape — something that matter might be able to travel through. 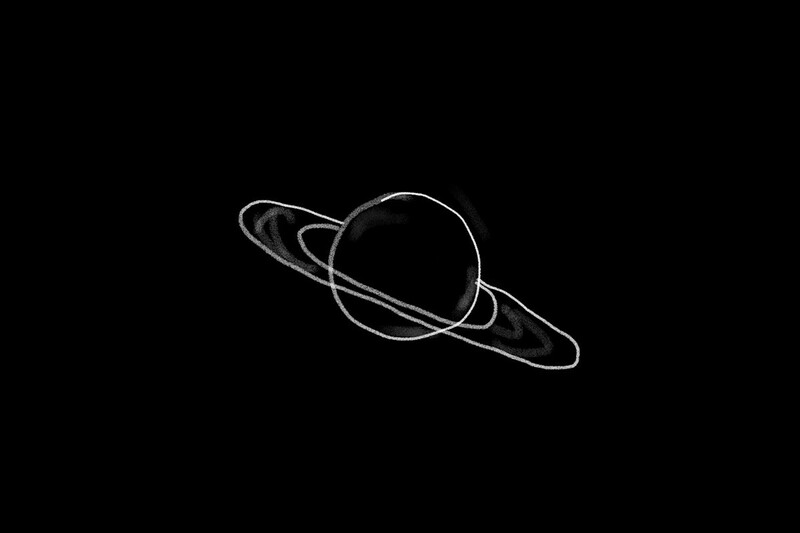 If we were to pretend that we had a spaceship robust enough to go into this kind of black hole without being spaghettified and torn to bits, maybe we could go through this ring. The model (called the Kerr metric) tells us that inside this ring is another ‘exterior’ to the black hole. Some think this means another universe. Other physicists and mathematicians, say that this is impossible. This is called the Cosmic Censorship Hypothesis. They point out that we can’t have an open portal (the singularity) accessible to our universe, because our laws of physics break down at the singularity. If we could access the wormhole to another universe, then anything — even stuff that was impossible — could happen. In some ways, all of them! Remember how in science, we try to understand our universe by making models that try to predict, given some information, what will happen next. Because we need make models and test them, there are two kinds of physicists out there. The theorists come up with and improve on different models to describe our universe. The experimentalists actually go out there, build things to test these models. If a theorist predicts something will happen, the experimentalist goes and sees it for herself. Our models can tell us the limits of what’s possible, but unless we can measure it, we can’t say if it’s really possible or not! That means we have to be careful when talking about things outside of which we can measure. That also means, outside of what we can measure, almost anything is possible! Our models can tell us the limits of what’s possible, but unless we can measure it, we can’t say if it’s really possible or not! That means we have to be careful when talking about things outside of which we can measure. That also means outside of what we can measure, almost anything is possible! Physicists study the world on the most fundamental level: from the tiniest particles, to the whole universe (and beyond!). 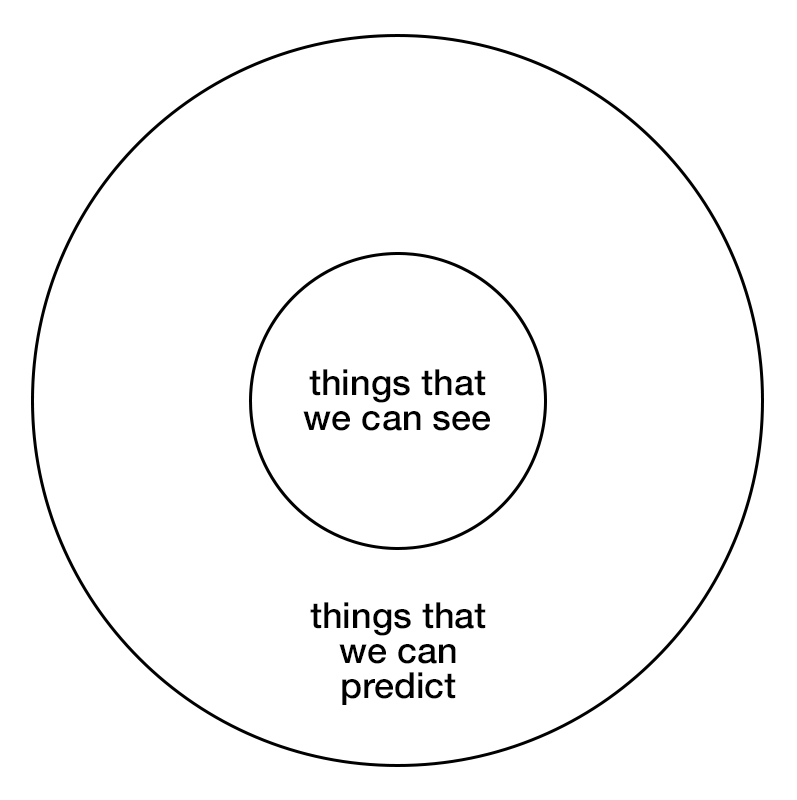 This means that a lot of the times, our models can predict things that we don’t have the technology to see. And if we can’t see something, then we haven’t done science yet! Multiverses can be in the realm of science, because it’s one of the first steps to finding the right model. We can say that this might happen, and if we can test whether it’s true or not, then we can say our model is right, or it needs fixing. Multiverses can also be in the realm of science fiction, and mostly, it is. Because right now, there is no way to actually find out if there are other universes out there. And if you can’t measure something, it isn’t science. Not yet. Multiverses can also be in the realm of philosophy, because it makes us question some very basic things about what we can know, what we can’t know, and what it means to us if every life we could have lived had already been lived. It shouldn’t do. The big bang was (as far as we know) how our universe began. If there were other, parallel universes, then they would have begun in their own way. If multiverse theory was true, the universes don’t inhabit the same ‘space’. Well, not like how we think of space. They’re there, maybe measureable on a different dimension, but definitely not how we think of space right now. More on that in the next few questions! If galaxies are being pushed away from each other and if the multiverse and idea of infinite universes weren’t real, what would happen when a galaxy reaches the end of the universe? This is when our idea of ‘space’ gets in the way of us imaging what’s really happening. When scientists say that galaxies are being pushed away from each other, they don’t just mean they’re flying apart inside empty space. What’s really happening, is that space itself, is expanding. That’s why there’s no such thing as the ‘end’ of the universe, because as the distance between galaxies gets bigger, the universe itself is expanding too. 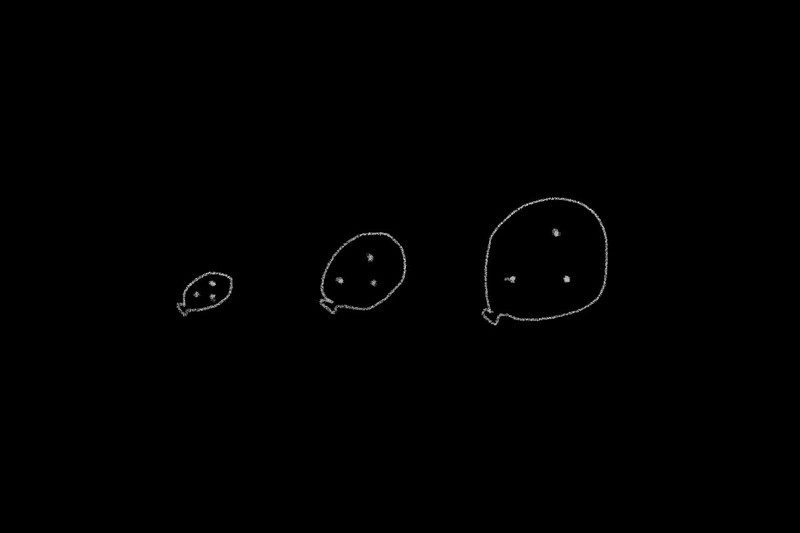 Imagine you had a perfect rubber balloon, and you drew some dots on it. 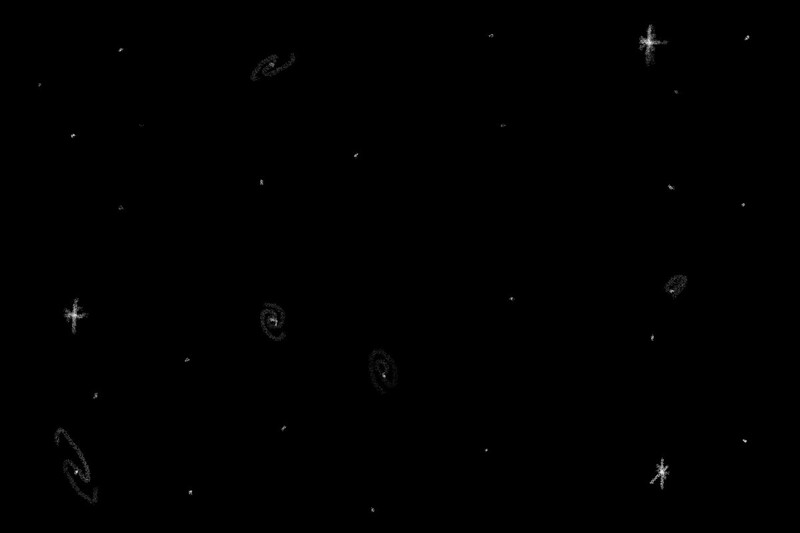 Now let’s say each dot is a galaxy, or star. Now imagine you’re a wee ladybug on one of these galaxies. From where you are, you can see the galaxies around you. As the balloon expands, the galaxies get further and further away. From your perspective as the ladybug, all the galaxies are flying away from each other! When do the galaxies run out of room and reach the end of the balloon? Of course, there is no end. The balloon itself is expanding. Spacetime (the fabric our universe is made up of) is kind of like the rubber balloon. It can stretch and distort. From what we know, it can keep expanding. There is no pop. No end to reach. 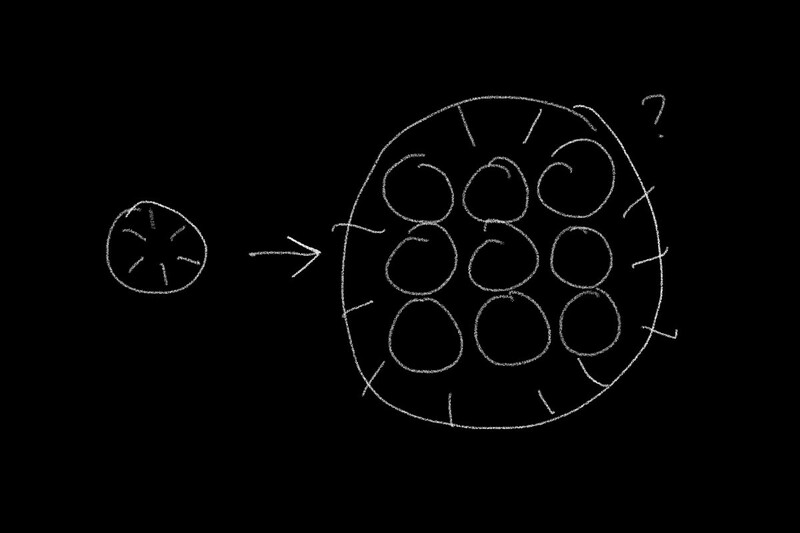 If our universe is expanding (faster and faster) then does that mean the multiverse expands at the same rate? If we’re talking about expansion, we need to know how to measure distance. This sounds easy, and measuring distances in a flat space (like on a piece of flat paper), is. It’s simple for us to imagine how it works. On any non-flat (or non-Euclidean) surface, like a sphere, things get trickier. 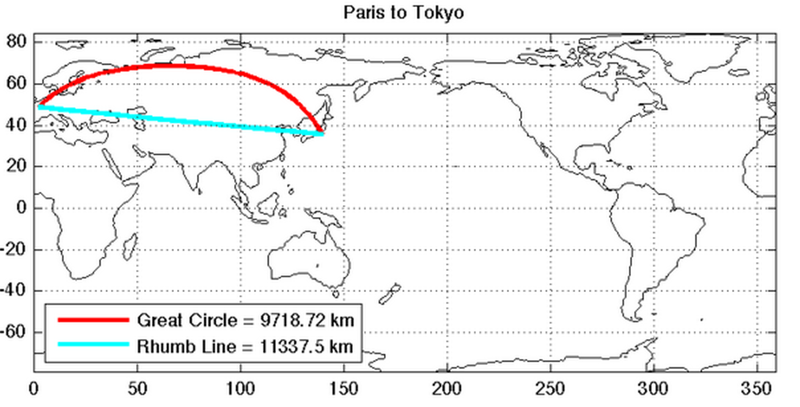 It might look like the blue line is the shortest between Paris to Tokyo, but it’s over 1000km longer than the red line. The closest distance between any two points on a globe are along things called Great Circles. These are the lines that airplanes travel along. With things more complicated than a sphere, things get trickier still. Remember how spacetime is like a rubber sheet — it can expand and distort. Really heavy things, like the sun and stars, can bend the fabric of our universe♁. It gets really hard to measure how big something is when your ruler bends along with the rest of the universe. To define how we’re going to measure distance in spacetime, we use a thing called a metric. 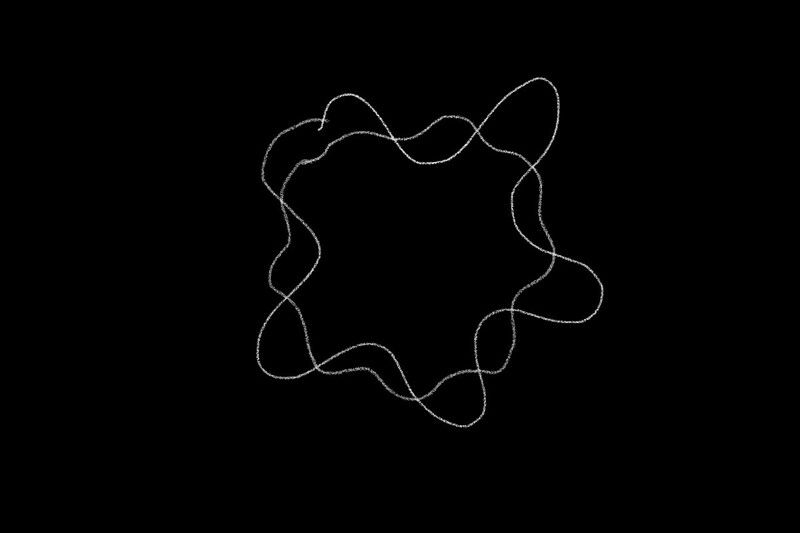 This tells us where the shortest distance lines are, and from that we can see how spacetime expands, contracts, and bends. If so, would it have to be expanding squared to the speed of the amount of universes inside it? if the expansion/collapse/stillness of the multiverse has anything to do with the universes inside it. Those were great questions. It’s so cool how students of high school age can discuss these things in class! You guys have a pretty awesome teacher. I’m going to leave you with my absolute favourite fact about our universe: when we gaze at the stars, we are gazing into the past. They are so far away from us, that their light takes hundreds, sometimes millions of years to reach us. This also means that as we try and look further away, we’re looking even deeper back in time. I wonder what those parts of space are like now; how different they must look. A lot of people ask me if time travel is possible. They’re of course talking about time travel on Earth. But it is possible, and you need only look up. ♁ They say that light travels in straight lines, and technically, that’s true. See, light travels in straight lines inside spacetime. If spacetime bends, light follows along the bends in spacetime. For the perspective of light, it’s still travelling straight. 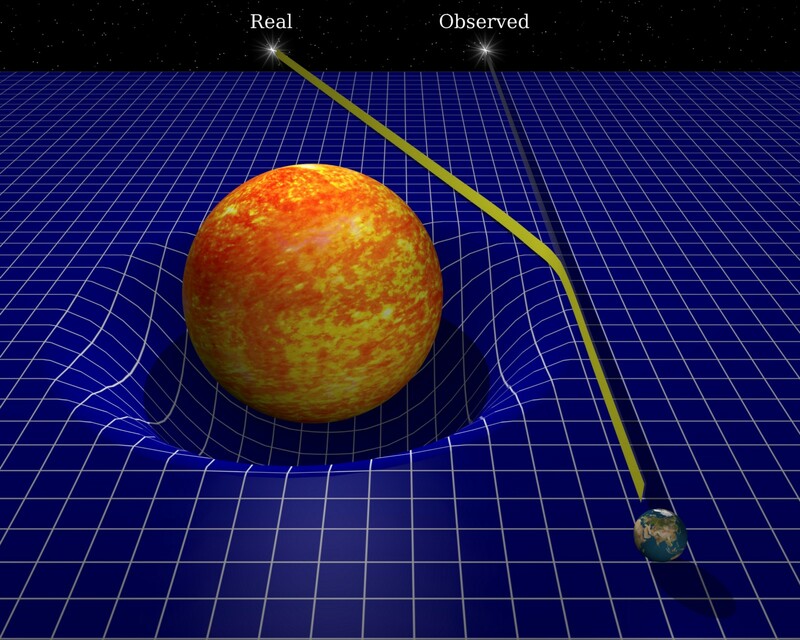 Large gravitational fields bend spacetime. I had to have been around nine or ten years old when I was frequenting some local forums. I stumbled upon a post. Someone started a thread: what is the meaning of life?